A central message was that traditional fund managers are moving into this space in search of returns and portfolio diversification. The alternatives sector is becoming mainstream and is being driven to new heights, and this is leading to an increasing volume of capital coming into the EU from the US, Asia and the Middle East. 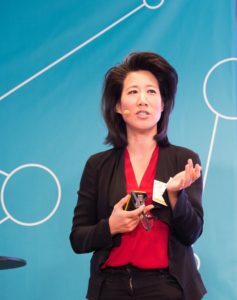 “Private equity assets under management could triple to $15tn over next decade if current trends continue,” said Eileen Burbidge, partner at VC early stage investor Passion Capital, introducing the conference. Investors are also seeking geographical diversification. 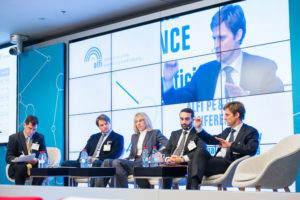 The trend of bringing funds onshore to the European mainland was another leading conference theme. 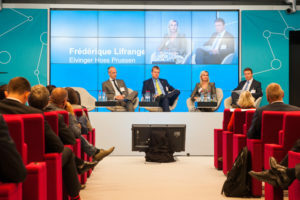 Luxembourg is providing a competitive environment in this context. 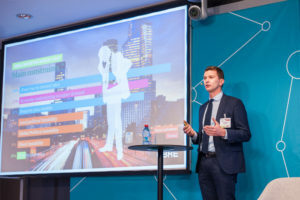 The talk was of “on-shorisation” as a way to fully engage with the European investor base. There was consensus that while press attacks on off-shore fund structures may miss the mark, reputational risk has risen. Initial fears that Europe’s AIFMD rules would be unwieldy have largely dispelled. “We decided early that we would embrace AIFMD, and now you hear US managers saying AIFMD has made life easier,” commented Alexander Taft, Managing Director at Invesco Real Estate. A law introduced the reserved alternative investment funds (RAIF) last year has been an instant hit. Industry surveys unveiled at the conference pointed to strong demand for the RAIF, a vehicle with interesting time to market. In less than a year, RAIFs now account for 6% of all real estate funds and 5% of private equity funds in Luxembourg. 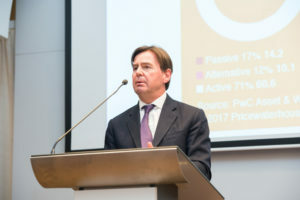 For other players, it was the completion of the Luxembourg Limited Partnership regime by a new type of vehicle (the Special Limited Partnership, SCSp) – which mirrors common law arrangements – that has tipped the balance towards Luxembourg. 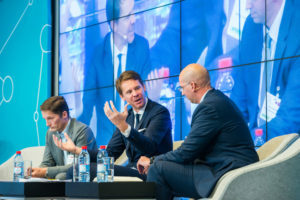 The conference also dealt with a range of industry hot topics, including the on-going debate over the desirability of limited partner advisory committees (LPACs), and whether the recently reformed European venture capital funds (EuVECA) regulation will ignite cross-border fund raising. Discussions pointed to increased enthusiasm for “co-investment”, minority investment made alongside the majority investments of the investors. In the real estate sector, increasing number of open-ended funds are being created in order to give investors greater flexibility. These are generally more complex to run than the traditional closed-ended structures, but this shift is being facilitated by Luxembourg expertise. 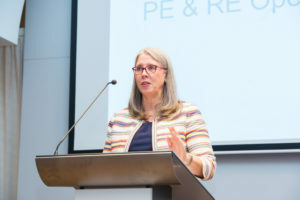 Although private equity and real estate were central to the conference, the event began in the evening of Monday 20th, with sessions dedicated to loan funds and hedge funds. An ALFI survey was published highlighting some interesting new trends. With European bank lending still somewhat hampered by the fall out from the financial crisis, loan funds have been gaining investor attention. Half way through 2017, Luxembourg loan funds accounted for €40bn assets under management following 160% growth over the previous 12 months, and a 280% increase since 2015. 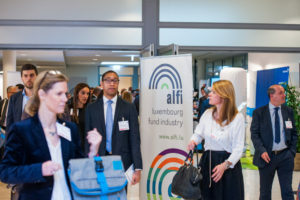 The study also showed that around half of loan fund managers are looking to increase their presence in Luxembourg. The need to boost efficiency and cut costs as well as to adapt to new technology had been constant themes over the conference. With new regulation coming into force beginning of 2018 and uncertainty around Brexit, challenges multiply and industry actors need to stay agile more than ever in order to maintain the growing trend. 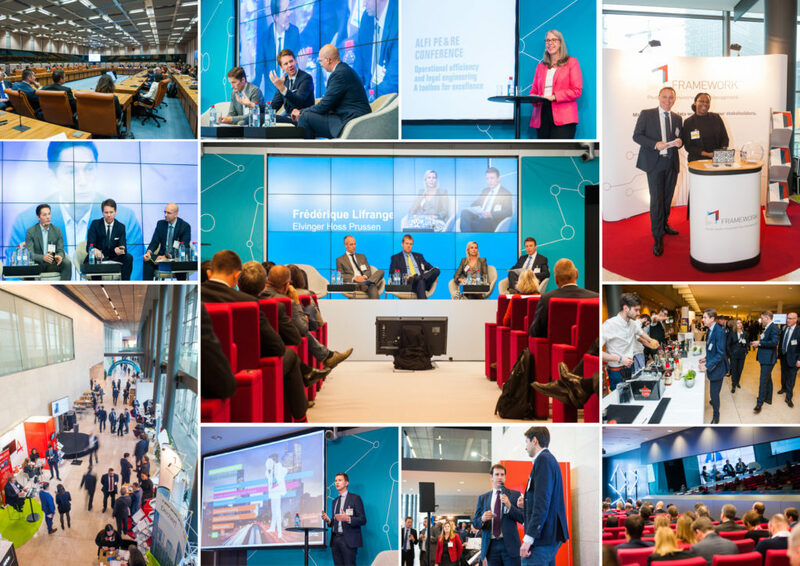 However, Luxembourg’s expert ecosystem and the well-designed regulatory toolkit should allow asset managers to focus on strategy as they navigate changing times. View full picture gallery here.